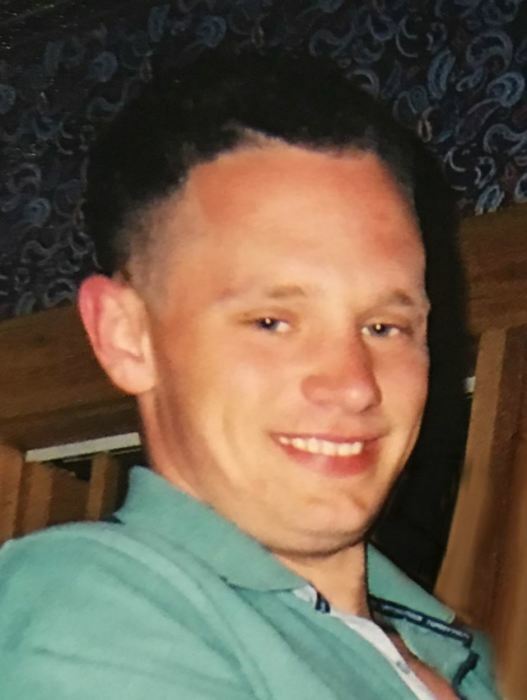 Garron Derek “Houdini” Crafton age 35 of Paris, died Friday March 22, 2019, in Big Sandy, TN. Garron enjoyed riding his bike and spending time with his son. He formerly had attended Tennessee Valley Community Church. Garron formerly worked at Waverly Lumber Company in Waverly, TN. Born October 23, 1983, in Paris, he was the son of the late Ronald Dennis Crafton and Sharon Jane “Janie” Greer Bradley who survives of Springville, TN. Along with his mother, survivors include his son Derek Corman Crafton of Paris, special friend Mary Taconi of Paris; three sisters, Dionne (Dale) Caudle of Waverly, Crystal Greer of Paris and Amber (Adam) Hoskins of Paris; two brothers, Joel Dennis (Erin) Crafton of Parsons, TN and Keggan Crafton of Frankfort, IN; and a grandmother Rebecca Meredith of Big Sandy. Additional survivors include numerous aunts, uncles, nieces, nephews, and cousins. Along with his father he was preceded in death by a brother Ronald Dennis Crafton, Jr. and his step father Ray Bradley. Ridgeway Funeral Home 201 Dunlap St., Paris, TN, 38242 will be handling the arrangements. Visitation will be Wednesday, March 27, 2019 from 4 to 7 pm and continue Thursday, March 28, 2019, from 12-2 pm at Ridgeway Funeral Home. The funeral service will be held Thursday, March 28, 2019, at 2 pm in LeDon Chapel of Ridgeway Funeral Home. Burial will follow the service at Memorial Cemetery. Pallbearers for the service will be Ronnie Carter, Jeremy Taylor, James Gouge, Jeramye Whitaker, Nick Blaylock, and Dewayne Ervin. Honorary Pallbearers will be Fabian Gouge and Derek Crafton. Memorials may be made to the Garron Crafton Family c/o Ridgeway Funeral Home PO Box 788, Paris, TN 38242.